The RABBIT Hopping COMPETITION is BACK! 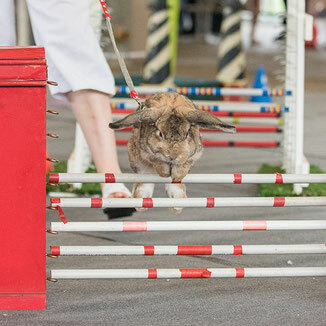 Hop and jump for joy because the rabbit competition is returning on Good Friday. 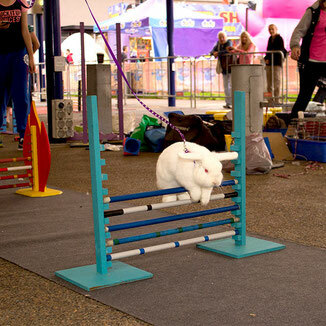 Watch as they compete for “Best in Show” and even get a chance to pet the cuddly little bunnies. 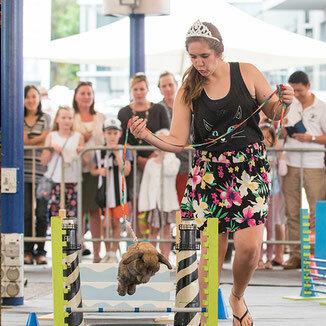 The Sydney City Rabbit Enthusiasts are back with a display of approximately 100 purebred rabbits competing in either, a Best In Show Competition (judged in the same fashion as a horse, cat or dog show) or some very talented and entertaining rabbits will be competing in The Rabbit Hopping Championships. All this brought to you by our friends at The Sydney City Rabbit Enthusiasts and The Rabbit Hopping Society Of Australia. Come down and learn more about keeping rabbits as pets, and the wonderful world you can become part of if you choose to show, or compete with your pet! You could also get the chance to pet some animals and take a photo with them too!